Puzzles are great for kids for a variety of reasons including improving motor skills and learning about spatial awareness, and we love how visually appealing and stimulating they can be. This butterfly block puzzle is a perfect example of an eco-friendly toy that your child will continue to play with for years. Little ones will love stacking the blocks, sorting the gorgeous colors, and using the wooden frame to piece together the original puzzle. 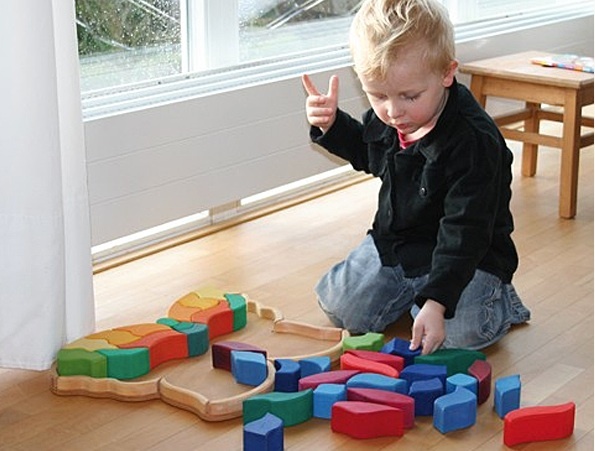 Older kids can use the puzzle pieces to create new and stunning shapes and configurations. The 37-piece puzzle is crafted from lime wood in Bosnia using a non-toxic, water-based stain and finished with a non-toxic, plant-based oil finish. Keep this puzzle out on your coffee table for quick and easy amusement for children, and you’re certain to find older folk toying with it as well. Puzzles are great for kids for a variety of reasons including improving motor skills and learning about spatial awareness, and we love how visually appealing and stimulating they can be. 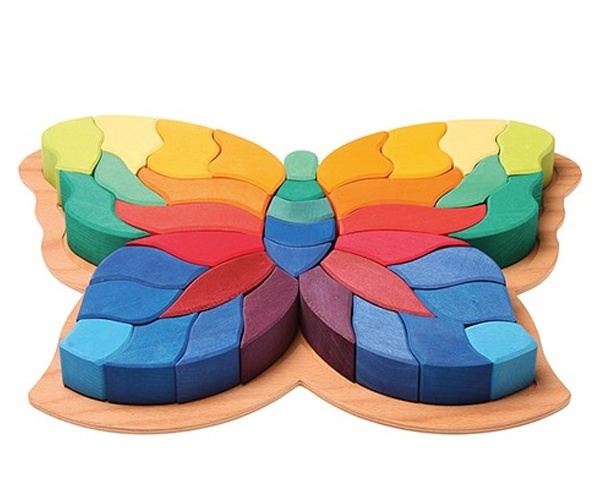 This butterfly block puzzle is a perfect example of an eco-friendly toy that your child will continue to play with for years. Little ones will love stacking the blocks, sorting the gorgeous colors, and using the wooden frame to piece together the original puzzle. Older kids can use the puzzle pieces to create new and stunning shapes and configurations. The 37-piece puzzle is crafted from lime wood in Bosnia using a non-toxic, water-based stain and finished with a non-toxic, plant-based oil finish. Keep this puzzle out on your coffee table for quick and easy amusement for children, and you're certain to find older folk toying with it as well.